It's my pleasure to welcome Caroline Warfield to the salon to discuss William IV! 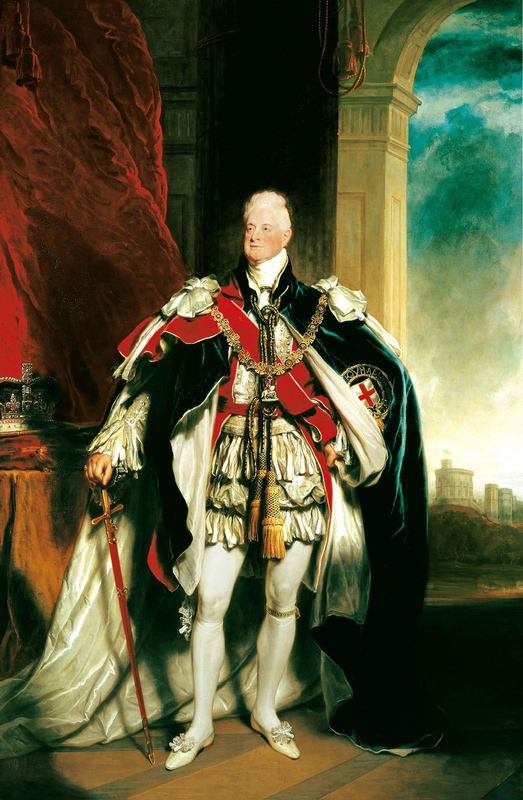 What do you call the era of William IV, sandwiched as it is between the Georgian and the Victorian? It may be short, but it can't be dismissed. William warrants attention in his own right. A note about eras: the Covent Garden Gilflurt's Guide to Life covers all things Georgian, that long and glorious era of the four Georges, a time of social and economic change and literary flowering. Its extent is almost always defined as beginning with the accession of George I in 1714 to the death of George IV in 1830. 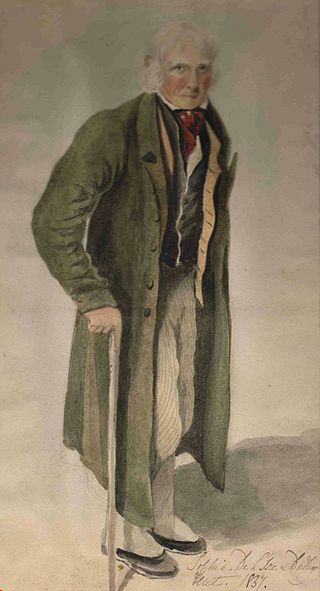 (That ubiquitous period, the Regency, is a subset of Georgian and refers, of course. to the period in which the future George IV served as regent for his father, George III.) The Victorian Era began when Victoria came to the throne June 20, 1837 and lasted for over sixty years until her death in 1901. That leads to my question, what do you call the years 1830 to 1837? Occasionally, but not often, those years are lumped into the Georgian. That may be because William was the brother of one George and the son of another, or because his reign is too short to bother naming. 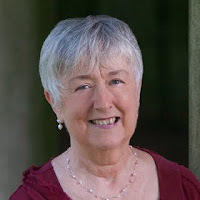 In writing two novels set in that stretch of time, I've come to think of it as the Time In Between. It belongs to William alone. When William was born in the Queen's House (later Buckingham Palace) in 1765 he was considered, as a third son, an unlikely candidate to accede to the throne. He entered the navy at aged thirteen and soon after served in New York during the American Revolution, just escaping a plot to kidnap him. He is generally considered to have been a good and well-respected officer, numbering Nelson among his friends. He left the navy in 1790, however, and, when he sought a command during the Napoleonic Wars, he was denied one. After being made Duke of Clarence, he lived for twenty years in a domestic arrangement with the actress Dorothea Bland, "Mrs. Jordan," with whom he had ten children, all given the surname Fitzclarence. By all accounts it was a happy household, but the relationship came to an end when William sought a rich wife as a way out of financial difficulties. Wealthy fathers kept a tight hold on their daughters, however, and William was only successful after the death of Princess Charlotte when he became heir apparent. Unlike his older brothers, William appears to have been a domestic soul. 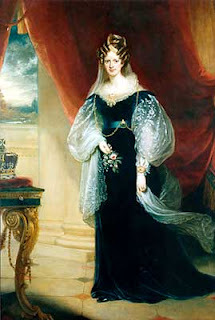 His marriage to Princess Adelaide of Saxe-Meiningen, while an arranged one, was reputed to be as happy as his long arrangement with Mrs. Jordan. Adelaide was kind and welcoming to the Fitzclarence children, all of who came into William's custody after the death of their mother. Unfortunately, none of his legitimate children survived infancy, leaving the daughter of his younger brother, Victoria, as his heir. As king, William has been described as unassuming and disinterested in pomp, and as hard working and conscientious. He had to be persuaded to have a coronation ceremony and, even then, put the event on tight budget in deliberate contrast to George IV. 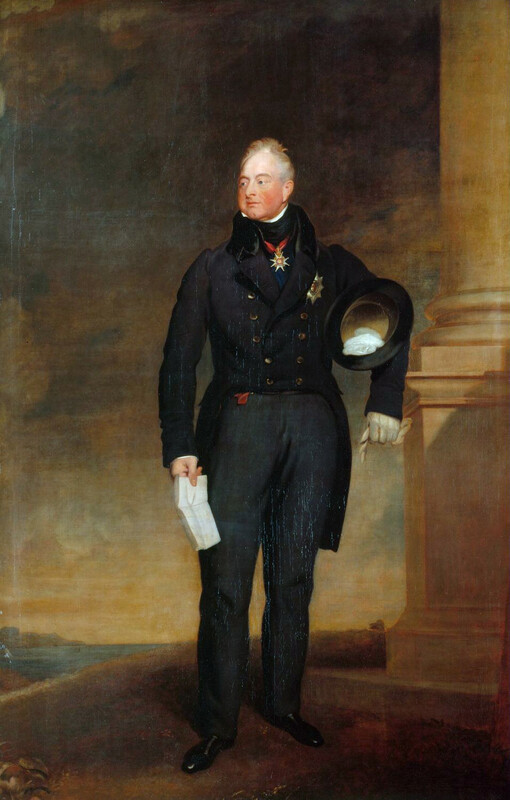 The Duke of Wellington claimed to have gotten more done with William in ten minutes than he had with George IV in ten days. William, who had generally supported the Whigs as a young man, tilted toward conservative as king. He supported the Duke of Wellington and the Tories but they lost control soon after William took the throne. The loss pushed the country toward the Reform Crisis. Lord Grey, Wellington's Whig successor, introduced the Reform act, which sought to reform the electoral system. It eliminated "rotten boroughs" (those with few voters and multiple MPs controlled by peers); broadened voting rights to include shopkeepers, small landowners and tenant farmers; created new constituencies; and almost doubled the electorate. The bill passed only after much struggle in Parliament and riots in the streets. Grey prevailed upon William to create sufficient new peers to ensure passage in Lords. He agreed reluctantly, but Lords caved in and passed the bill. Because the act had no impact on the poor and the working class, many thought it didn't go far enough. Widespread dissatisfaction ultimately led to Lord Grey's resignation. William's early popularity never recovered. William's politics were complicated. He supported Catholic emancipation but opposed the abolition of slavery. He distrusted foreign governments, particularly the French, yet sought to improve Anglo-American relations. The Factory Act of 1833 prohibited the employment of children less than nine and reducing the hours of women and older children. The New Poor Law of 1835 passed. The Tolpuddle Martyrs, a group of Dorset agricultural laborers, were transported to Australia for taking a secret oath to form a trade union. It sparked a massive nationwide protest. Fire destroyed the Palace of Westminster and a new London Bridge opened. Laws passed requiring the registration of births, deaths and marriages. The last person in England to stand in a pillory did so, the first policeman killed in the line of duty died, and the last two men to suffer capital punishment for homosexual acts were hanged. Charles Darwin embarked on and returned from the voyage of the HMS Beagle with the notes from the Galapagos Islands that would like to his work the Origin of the Species. Ross led an expedition to the magnetic North Pole. Michael Faraday demonstrated electromagnetic induction and constructed the first dynamo. Charles Dickens earliest writings, including Oliver Twist, which shed light on the plight of the poor, were published. Alfred Tennyson's Lady of Shallot was published. The East India Company lost its China monopoly. The Rideau Canal, a Unesco World Heritage site, connecting Kingston in Upper Canada to Montreal in Lower Canada was completed. The Time In Between isn't an era that can be brushed aside. William lived long enough to see his niece Victoria reach her majority, and thus out of her mother's control, as he had hoped, but only by a few weeks. He died June 20, 1837, and so began the Victorian Era. My interest in "The TIme In Between" comes from researching the first books in my new series, Children of Empire. The first in that series, The Renegade Wife begins in Upper Canada in 1832. The second, The Reluctant Wife (due April 2017) begins in India in 1835. Meggy Blair harbors a secret, and she’ll do whatever it takes to keep her children safe. She’d hopes to hide with her Ojibwa grandmother, if she can find the woman and her people. She doesn't expect to find shelter with a quiet, solitary man, a man who lowers his defensive walls enough to let Meggy and her children in. Their idyllic interlude is shattered when Meggy’s brutal husband appears to claim his children. 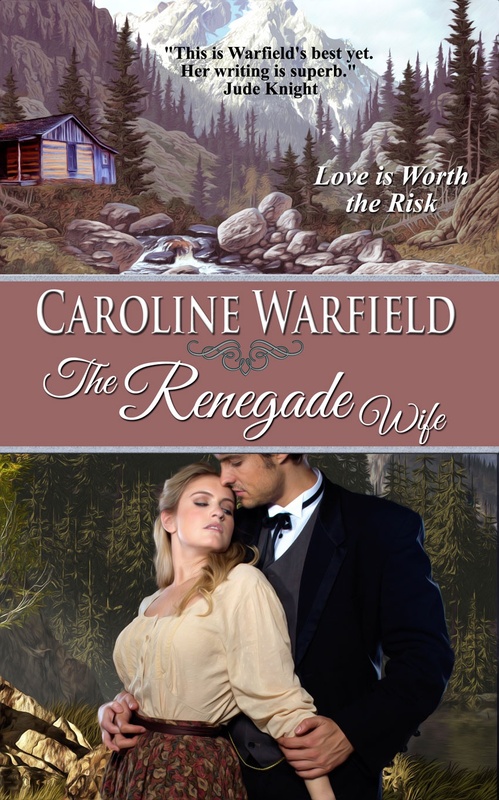 She isn’t a widow, but a wife, a woman who betrayed the man she was supposed to love, just as Rand’s sweetheart betrayed him. He soon discovers why Meggy is on the run, but time is running out. To save them all, Rand must return and face his demons. He follows her to Portsmouth and Bristol, still reeling from the Reform Crisis riots. Written content of this post copyright © Caroline Warfield, 2016. Wonderful post. I find that era very interesting . Thank you! It is indeed interesting to discover that the last two men to suffer capital punishment in the U.K. for homosexual acts were hung. Were they also hanged? Thank you for reading and to Caroline for writing it! Life did indeed go on. I rather like the man. Perfect? No, but who is? Hmm. Excellent question. I lack sufficient date to answer it however. Sorry. Actually, upon reflection, we know for certain they were hanged. As to the rest of your assertion, we lack data. Yes, his treatment of her, even if he did feel he had to seek a legal wife, seems out of character. One suspects we don't know the whole story. Nice, informative post, Caroline. I learned a lot from you. Spare a thought for Queen Adelaide who suffered several miscarriages and whose only living child - a daughter - died when a few days old. Her dignity and grace impressed everyone and she was a good role model and a kindly aunt to Victoria when she succeeded to the throne and had to learn the ways of court life. I am sorry she was omitted from the current drama "Victoria" on ITV. This place is stunning. The architecture is beautiful and the decoration is spectacular. Environment at the lofty spaces was transparent and resonant and warm and immediate. I loved this place and my experience here was very exciting. I agree.She sounds like a loving, kind woman. I think she was good for William as well.